When seventeen-year-old Bertha is found in a holly patch, dead from a snakebite, her premature death shocks and distresses the entire town of Canterbury. 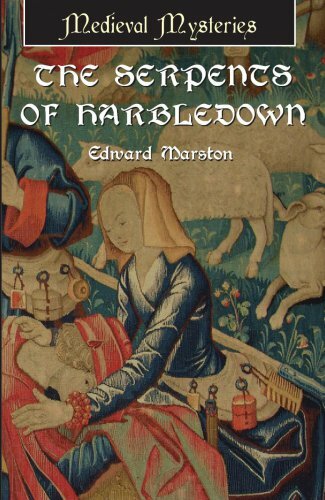 Her father succumbs to a suicidal rage, and the news devastates the leper colony at Harbledown, where Bertha had charitably spent much of her time. On the day that Bertha's body is discovered, Norman soldier Ralph Delchard and lawyer Gervase Bret arrive in Canterbury to settle a land dispute between the archbishop and the head of the abbey. Newly married Ralph hopeto tour the famous cathedral and surrounding countryside with his bride, Golde, a beautiful Saxon. But their honeymoon is cut short, and Delchard's investigation into the property claim is upended when astonishing clues demonstrate that Bertha was in fact murdered. Ultimately, Ralph Delchard and Gervase Bret must look for a force more vicious than a mere snake.